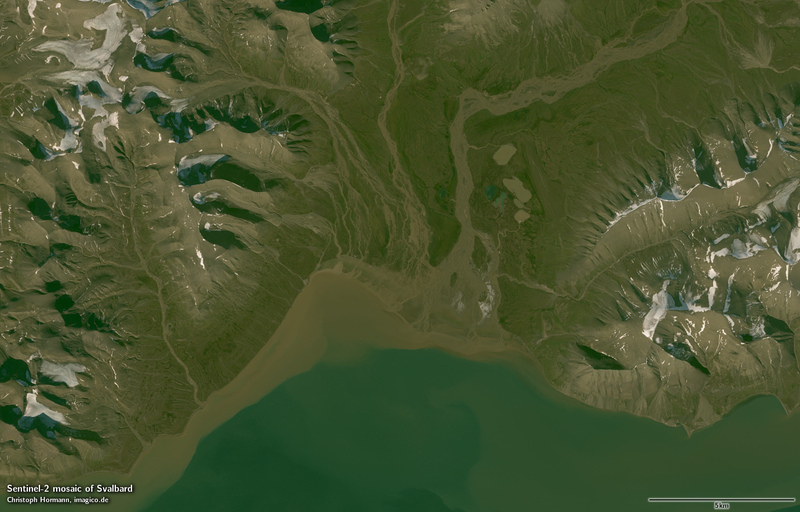 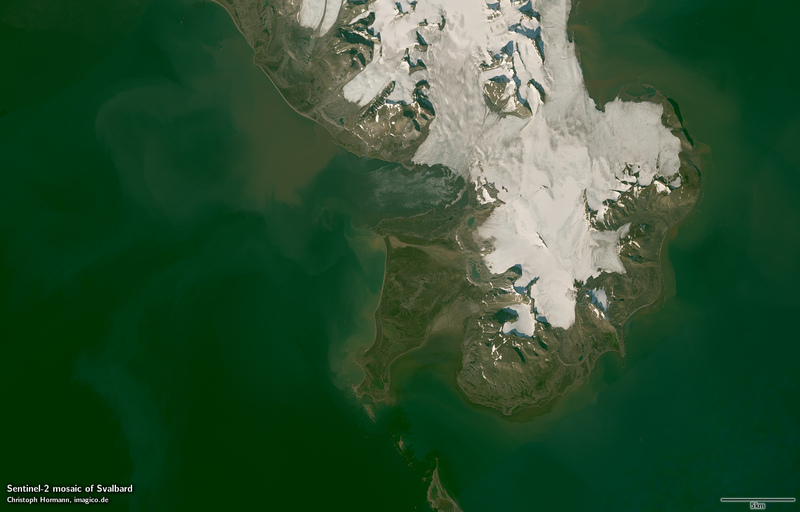 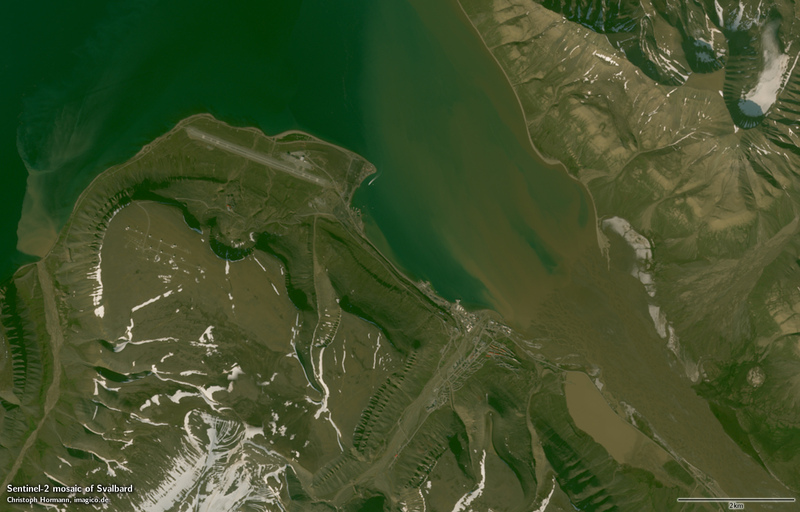 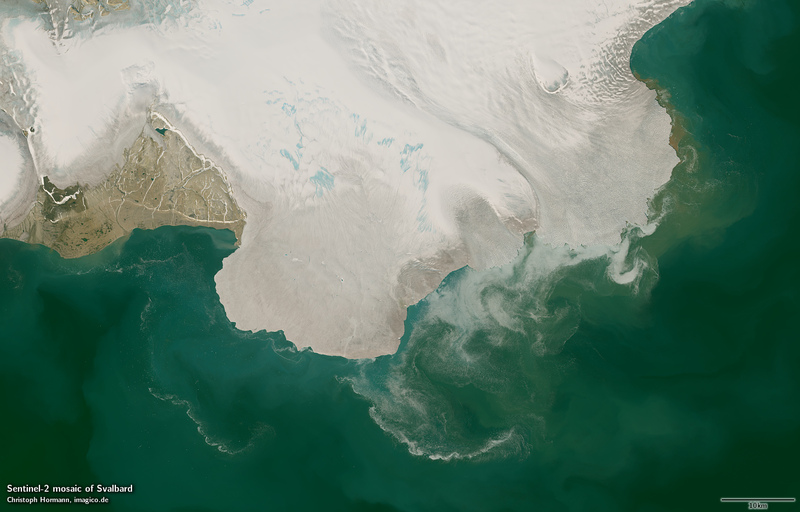 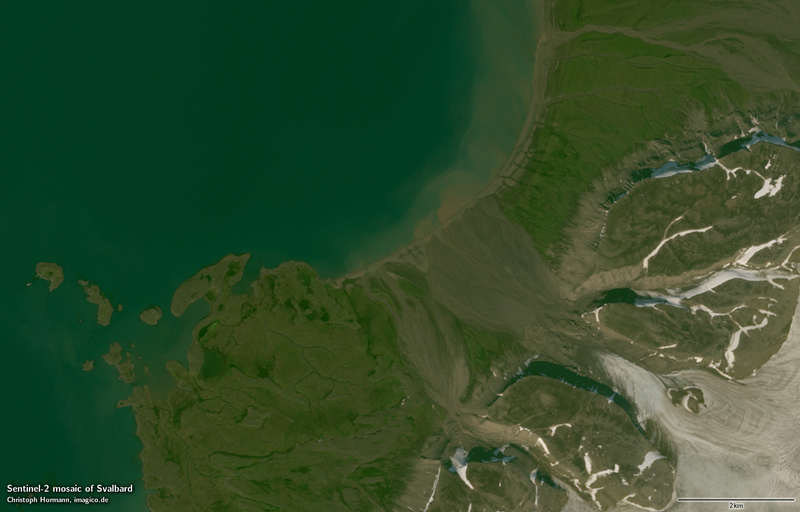 This Sentinel-2 mosaic of Svalbard shows the archipelago of Svalbard in the far north of Europe. 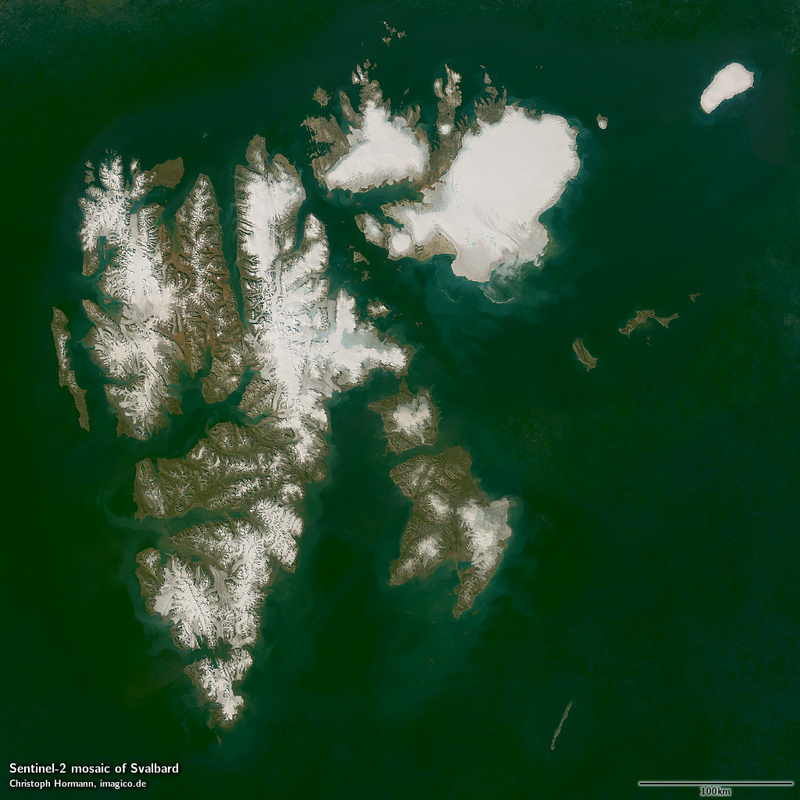 The image gives a realistic up-to-date visual color impression of the area as it appears during summer, with the islands of Spitzbergen, Nordaustlandet, Kvitøya, Edgeøya and Hopen as well as numerous smaller islands around. 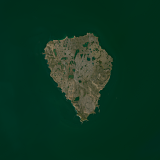 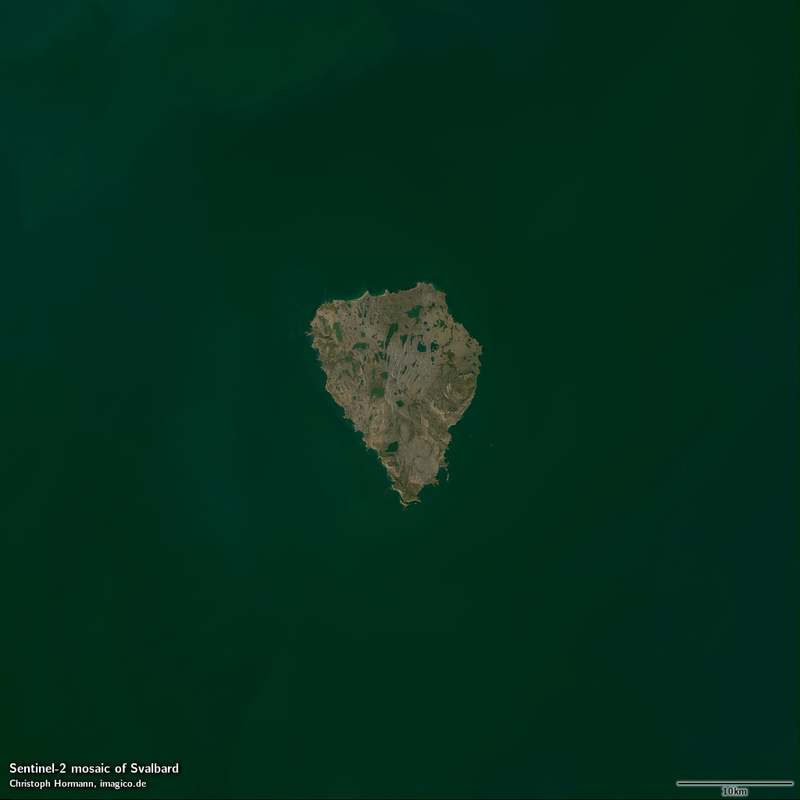 It also includes Bear Island as a separate image. 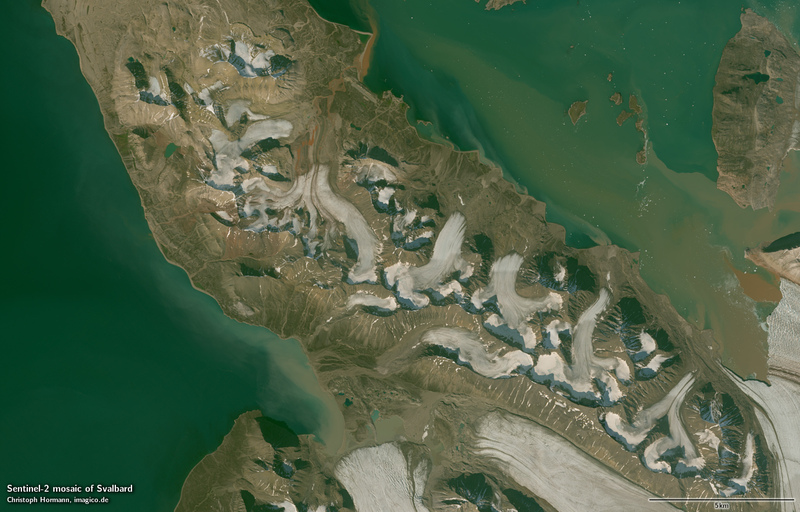 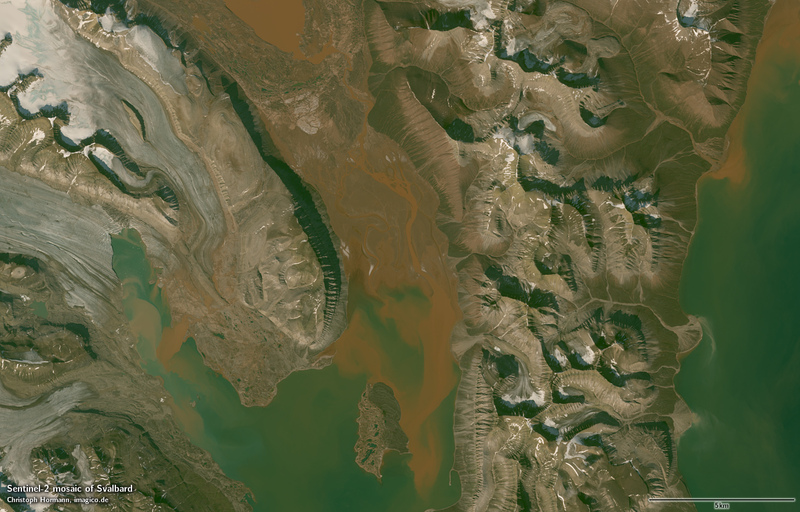 Source data is mostly Copernicus Sentinel-2 imagery from the 2016 summer season, in small parts supplemented with Landsat 8 data from 2014 to 2016.